I feel a little bit like cheating writing this after reading Ian’s recent post on The Bronze Bow, but I, too, had an interesting discussion in my literature classes recently while trying to decide on where to place the climax of a story. I’ve been slowly teaching my students the elements of fiction, and chose The Quiltmaker’s Gift by Jeff Brumbeau in order to talk about characters. The Quiltmaker’s Gift is a picture book about two people. The first is a powerful, greedy, unhappy king who fills his castle with gifts that he constantly demands from his subjects. The second is a wise, old, magical quiltmaker who lives in a house on a mountain in the clouds and gives away her quilts to the poor and needy. She won’t sell them, not for any amount of money. When the king learns of this woman’s existence, he decides that obtaining one of her quilts will be the only thing that makes him happy, and he takes one thousand soldiers up the mountain and demands a quilt from her. 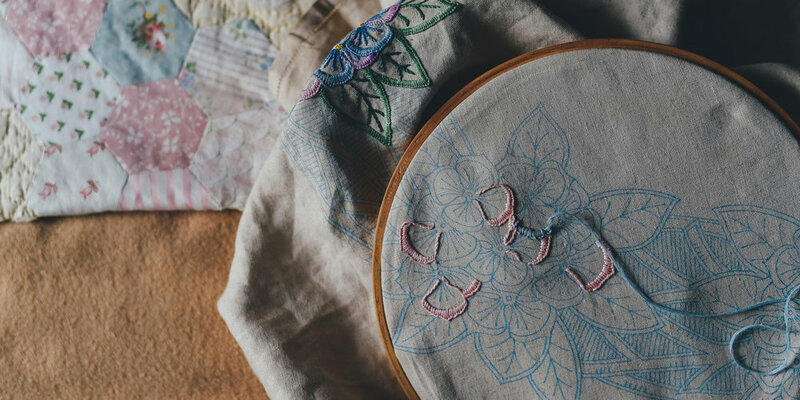 She doesn’t refuse, but instead makes him a deal: give away everything you have — all your beautiful gifts — and I will make a quilt for you, she tells him. Enraged, he orders his soldiers to seize the quilt she’s just made. The quiltmaker throws it out the window, where a gust of wind carries it up and away. To punish her, the king has his royal iron-makers fashion a bracelet, and he chains her in a cave with a bear overnight, expecting the bear to make a meal of her. When the bear wakes and roars at the woman, she makes him a pillow for his head from her shawl and bunches of pine needles. The next morning, the king, remorseful, sends his soldiers to rescue her. They all find the quiltmaker and the bear having a pleasant breakfast together. Enraged once again, the king has his royal island-makers build an island barely big enough for her to stand on tiptoe, and he banishes her there, expecting that overnight, she’ll tire, lie down, and drown. A sparrow that had lost its way across the great, big lake takes refuge on the woman’s shoulders. She fashions a coat for him from her vest. Grateful, the sparrow brings back thousands more sparrows, and they carry her to safety in their beaks. The next morning, when the king finds her sitting in a tree sewing for sparrows, he gives up and asks her what he must do for a quilt. 'Give away all your precious gifts,' she says once again. After weeks of deliberation, he agrees. The first gift the king gives away is a marble. Such a small thing, it is the only thing he can bear to part with. It doesn’t make him happy to do so, but it brings such joy to the boy that he gives it to, that he goes back for velvet coats and passes them out to townspeople wearing rags. The king is still not happy, so he tries again. He continues bringing out gifts until the smallest of smiles cracks across his face. Eventually, his gifts make his people so happy that he is wonderstruck by their merrymaking. When a child drags the king into the dancing fray, he finally smiles for real and even laughs. It is then that the king brings everything out and gives it all away. He spends the next several years traveling the world, giving away all of his possessions, sending sparrows back to the quiltmaker every time he gives something else away. When all of his precious gifts are gone, the quiltmaker puts the last stitch into the quilt she has been making and goes off in search of him. When she finds him, his clothes in tatters and his toes poking out from his shoes, she wraps his quilt around him. Surprised, the king professes that after giving everything away, he is now the richest man he knows. In return, he says, he will only accept her gift if he can give her a gift of his own — his last possession — that he has been saving to give her all these years. The king gives her his throne. The end. It’s a beautiful book, gorgeously illustrated, and I am both sad and happy to say that my copy has seen quite a bit of wear. After reading this aloud in each class, we spent time talking about the king and what he was like at the beginning of the story versus the end of the story, and we compared and contrasted him to the quiltmaker. Let me tell you, even my third graders are a harsh crowd. Children are quite astute judges of character! Then we got down to the business of placing the story on a story chart. I asked them to identify the type of conflict. Most of my students agreed that the main conflict in the story was a man vs. self conflict, and each class phrased it as a variation of the question: Will the king finally find what it is that makes him happy? After we established the introduction and identified some beats of rising action — the let’s-make-a-deal, the bear, the island — I asked them if they could tell me where the climax of the story was. Remember, I told them, the climax needs to resolve, for better or worse, the question at the center of the conflict. Some kids suggested it was when the child pulled the king into the dance and he laughed for the first time. Others said it was when he gave everything away. Others said it was when the quiltmaker wrapped the king’s quilt around his shoulders. Every class, same dilemma: we couldn’t reach a consensus on where to place the climax. That was a contentious proposition, for sure. Yes, it’s way early in the book — about halfway through. It leaves a huge denouement. He hasn’t yet given anything away. He hasn’t smiled. He hasn’t laughed. He isn’t happy. It hasn’t quite yet answered the question. Then why do I place it there? Because that is the moment when he made the choice. He chose. In his sadness, in his anger, in his grief? He chose. There were no guarantees — not of anything. Not of eventually getting a quilt, not of happiness, and yet he chose. He saw the repeated, relentless love of the quiltmaker, and he chose. I often fear that if I teach these classes wrong, I will lead these children astray. That by not doing my job well, I will teach them how to look at literature (and therefore life) the wrong way. What if I don’t get it right? What if I miss the point of the book? What if I don’t listen well to what the author is trying to say, and I mislead these precious souls? I may have gotten the climactic moment wrong this time; it’s very possible, and I told all my students to place it where they thought it should be, even if they disagreed with me. I gave them the freedom to make their own choice. And maybe on a different day, on a different year, I would place the climax in a different place, but if reading is having a conversation with the author, then the conversation I needed to have on this day in this year is one where clinging to the right choice — where the choosing, not knowing the outcome, not being assured of anything besides that choice — where that is what matters. If that’s the lesson I ended up teaching, I think I’m OK with that. I, too, have not kept all the commandments and obeyed all the laws. I miss large parts of the puzzle on an annoyingly regular basis. Yet it is this God — the God of the impossible — that loves us with an unrelenting, unceasing, undeserved love. It is in the gospel story I am reminded that to respond to such a great love may guarantee us nothing in this life except, of course, the God of the universe. To that love, there’s only one response: “Oh, all right,” indeed. That's a lesson worth passing on to my students.